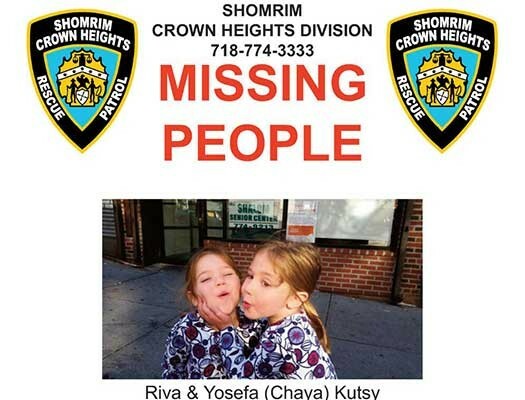 Crown Heights Shomrim and the NYPD have begun an extensive search for a missing family who have not been heard from or seen since January 31st 2015. Authorities are seeking information regarding the whereabouts of the Kutsy family along with their two daughters. UPDATE: The family has been located and they have turned themselves in. Authorities have not released any info besides the names of the parents, Alan Velvel Kutsy and Chana Yehudis Kutsy, and their children Riva (4) and Yosefa Chaya (3), have last been seen Saturday, January 31st 2015. Both Crown Heights Shomrim and the NYPD Detective Squad are seeking information regarding their whereabouts and are in fear for their safety. A lot of misinformation is being spread both in messaging apps and social media. 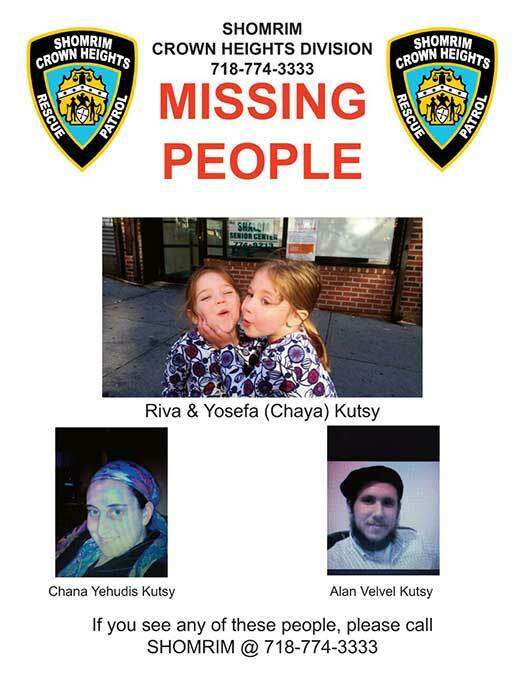 According to the authorities the family is still believed to be missing and anyone with information as to their whereabouts, or of the family is reading this, they are asked to contact Shomrim or the 71st Precinct Immediately. How did they go missing? what kind of responsible parents are they? Hashem please help. Have heard of missing persons but never a missing family ? maybe there on holiday somewhere !? it seems like the children are considered missing bec. the parents were not allowed to run away with them. the parents are not really missing ,. 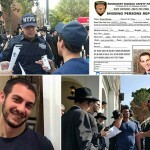 shomrim just cant find them. As we know, b’h reciting tehillim in such times has its benefit. So with every letter and word and perek said, may it be in their merit for a positve outcome and safe return. Kidnapping your own kids? Huh? The poor children were not supposed to be in the parents’ custody for reasons that are rather obvious.So when the parents “kidnap”children it means they are in danger and therefore efforts need to be made to remove them from that situation.From the comments it sounds like people are very naive or uninformed.In any case, the children need to be found.IYH’. I would clarify it this way: 2 people are Wanted and the other 2 are Missing. Based on the information circulating, it seems the whole family is missing. In reality, your version of events ( Parents don’t have custody of the children, and have taken them anyway and run away) seems to be the legitimate situation here- watch out for these people. 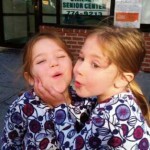 if they are (presumably) with their parents – why is so many resources spent on finding them ? just so they can “get lost” again by their own parents?! Obviously some city or state order/rooling didn’t stop them this time… why/how will it stop them next time ?! 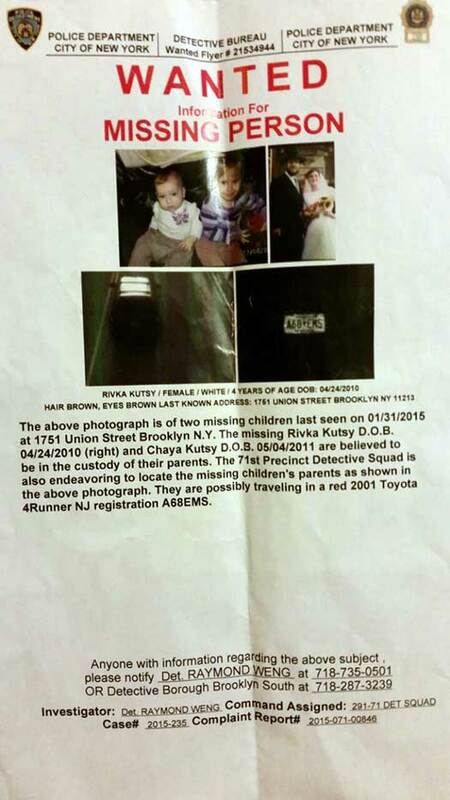 It said on another site that the parents were given temporary custody so how can they be missing? Wow you are either a troll and not funny at all or seriously impaired if you believe all children belong with their parents.Sometimes children are abused and wives are abused or both and therefore, no one should have to be forced to live under such conditions. Children are innocent victims of some very sick people who shouldn’t be near their kids.Since you don’t give two cents about the suffering of others,maybe you should go back into your hole. What a fantastic comment. You have a different view than me so you are a troll or seriously impaired and don’t give cents for human suffering. What lives in a hole. You must live in a dark, dark world. I’m neither a troll nor impaired nor do a I live in hole, and I fully agree that generally kids belong with their parents. The state has been a bad actor for so long that they have absolutely zero credibility. If you don’t agree with me you are rampaging pillager, a would be robber of children from loving parental arms, trading them to nanny state for not even 2 cents. Who said this home was loving? I am a witness to the husband being an abuser physical and verbal also sexual . No reason he should have custody . I can’t put in words how stupid you sound!!! who asked you for your opinions. a bunch of yentas. go do a mitzvah. syog lchochma shtikah. they were found. you can take this down. find somewhere else to stick your noses in.let Hashem be erech apayim and you mind your own business. pray for your own treyfene nshomos. please hahsem let them be found right now safe and sound! FOLLOW MY POSTS ON FACEBOOK FOR THE REAL STORY.